awesome goodie haul, and I love the #fightinganimaltesting pin. I was hoping for the lava lamp bath bomb and you did not disappoint. Also got for Mrs bear and she looks forward to using the yuzu and cocoa shower cream, jersey bounce shampoo, layer cake soap and sunny day anti-static hair detangler. Cheers! Star Wars Party and Just Cake. Invite to a Star Wars party up the street this weekend. Cake doesn’t rate a Star Wars-y modifier? I guess cake doesn’t need help. 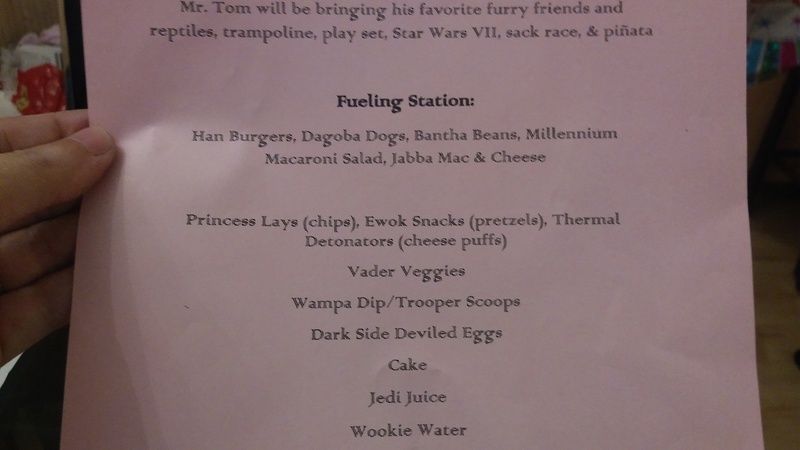 I especially Like the “Han Burgers” – I wonder if they’ll burn a hole in them, or just make ’em well done? Two custom plates seen this morning.